If your son or daughter is leaving for college soon but doesn't have any idea what he or she wants to major in, or doesn't have any career path in mind, don't worry! If he or she does have a specific career goal, keep in mind that many college students change their major and career path at least once in their college years. 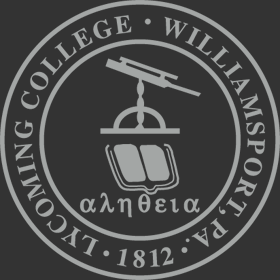 During the first year of college, students formally and informally assess their skills, interests and abilities through finding success or failure in coursework, involvement in campus activity, through discussions with family, friends, faculty, alumni, and community members, and by being exposed to different ideas, opportunities and experiences. Most students enter college with a limited knowledge of the scope of majors offered and how a major translates into a career path. When they begin to explore areas that are new to them, even those who had a plan may be drawn to different possibilities for their future. This is exciting to them, yet it may be a time of anxiety for you, as you may not know the most effective way to support and encourage your student. Affirm what you know to be their areas of strength, skill and ability. In all the excitement and change, students often lose sight of these and need a gentle reminder. Talk about which courses and activities that he or she enjoys. Part of the college experience is discovering new things, and, as a parent, your willingness to listen will keep you in the loop. Don't panic if he or she becomes excited about exploring a different career path or changing a major! After a period of self-assessment and discovery, it is natural to align career goals more closely with one's interests, skills and abilities. Support your student's responsible involvement in campus activities, but encourage balance between achievement in the classroom and activities. Encourage your student to meet with their Career Advisor regularly. Guiding students through the exploration process using assessment tools, career-specific resources, services, and programs, our Career Advisors can help your student define his or her skills, interests and abilities on the path to a fulfilling, satisfying career. The college years, a time of exploration, investigation and learning for both students and parents, contribute to the educational outcomes of the overall college experience. Let us know if we can help! Encourage your student to meet with his/her Career Advisor early and often to take full advantage of the valuable resources and services available. Giving students a critical edge in the real world, Career Advising is a value-added benefit to the Lycoming College liberal arts education. Advise your student to consider summer employment related to his or her career goals. Recommend your student begin developing a resume early, and continue to update it regularly with each new job, experience and activity. Challenge your student to explore and research careers of interest. Listen, but allow your student to make his or her own career-related decisions. Emphasize the importance of experiential education opportunities such as a job shadowing opportunity, summer employment, service learning, study abroad and internships, not only as a resume-builder but as a life experience. Encourage and support extracurricular campus involvement. Persuade your student to stay updated on current events, especially in key fields of interest. Expose your student to the world of work through example, networking opportunities and teaching moments. Communicate the value of networking. Advocate professionalism, and the value of being a productive member of a team.